Beauty lovers who like to channel a dark side, this is the product for you. 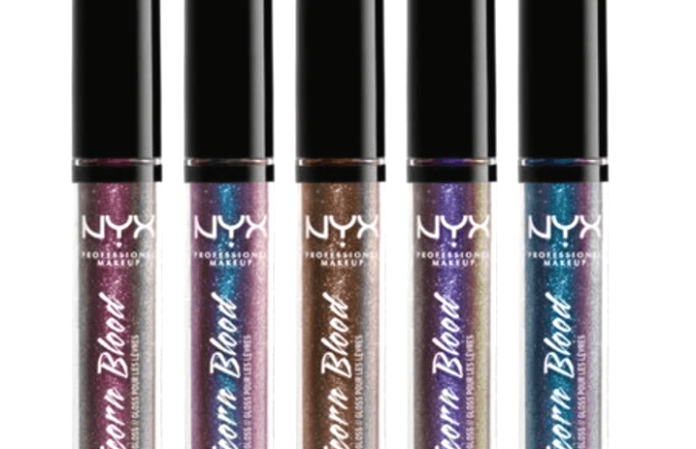 NYX has introduced their new Unicorn Blood Lip Gloss collection, and the duo-chromatic shades are a dream. The “goth meets gloss” shades range from lavender-gold to amethyst-blue, and each gloss is packed with “super-shiny pearls” that shine through the sheer black base. The mesmerizing product is perfect for a night out, or for any day, really. Who says you can wear too much sparkle? Check out the stunning shades below!